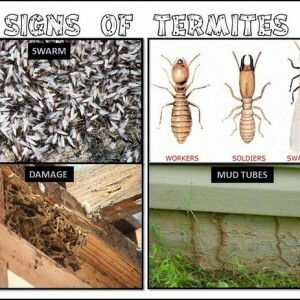 Termites are insects, widely viewed as pests that live in large colonies. As true as it is, their benefits and contribution to the world around is immense and overrides the negativity associated with them. So why are they negatively viewed? Well, in the harsh tropical climates such as the savanna, their appetite for destruction is adversely evident. They are capable of digesting plant matter and wood. In the remote areas, away from the suburbs, the wooden structures that serve as shelter are 'vandalized' by the social colonies of the termites, to satisfy their appetite. They have guts that house microorganisms which aid in efficiently digesting the wood. It means that they can weaken wooden structures and impact losses on the concerned. What is not so evident and apparent to the naked eye, is that the termite droppings promote better health in the vast Eco-system around their habitat. Among the microbes in the guts of termites, are the nitrogen-fixing bacteria. According to scientists, Nitrogen is plant fertilizer that is hard to come by in the right quantity in the soil topology. It is, however, possible to have this nutrient fixated by these bacteria, which have the capability of extracting it from the atmosphere and convert it into fertilizer. The symbiosis whereby the bacteria lives on small nodes attached to the roots of the plants is as a result of the droppings embedded into the ground, for purposes of forging hardened living structures that are the nests and mounds. The terrain, around termite mounds constructed using an assortment of materials from the environment around them, happens to flourish. It is a fete that has been well documented by research from scientists. These mounds are in some circles referred to as oases because of the retentive capability of moisture and water. The droppings are an adhesive component used to hold firmly together, dirt and the chewed wood. The outcome is a robust and more compact nest that does not crumble under pressure. It is even more generalized as a prevention of soil erosion. Water retention is a significant advantage realized in the event there is a climate change such as desertification. Termites poke holes some of which are very tiny, and it allows rain water to soak slowly into the ground beneath. In vegetation without a termite presence in the land, most of the rainwater runoff or evaporates back to the atmosphere. Such are areas that lack the innovative ways of life of the termite colonies, that they dry off quicker. However, according to Biologists, places with such mounds and a massive termite presence have vegetation cover that is healthier, and concentrated around them. The hardened soil can be effectively put to economical use in the event the soil is clay. Clay is soil that is used to mold traditional artifacts such as statues and pots or even build mud-thatched houses. The termite mound clay is hard and utilized in some remote areas of Africa that lack electricity, to produce clay stoves that are more fuel efficient, not to mention durable, for cooking. The efficiency attributed is to the fact that it uses less firewood and does not billow out too much smoke as is evident from open cooking fires. Finally, termite droppings are used as a basis for scientific research. Groundbreaking discoveries in the scientific field are to make off the study of the termites' gut and how they can adequately digest wood. The excessive Centrin production, coupled with the microbes could, in turn, give a more definitive finding as to why cell division, similar to that in human based Cancer growth, occurs and how the Centrin works. According to scientists, Centrin is a protein that is responsible for causing Cancer, that is any cellular growth or cell division inside the human body. With such large amounts in a termite's body, it is not difficult to understand why the scientific world has a lot of enthusiasm for them. Termites truly are beneficial to the Eco-system.